Every year, approximately 200,000 healthy pets remain unclaimed in Australia’s pounds and shelters – roughly 110,000 dogs and 120,000 cats left homeless each year, with results in euthanasia rates exceeding six figures annually. On Sunday 4 February 2018, pet rescue organisations will pay a visit to PETstock stores across Australia with homeless animals to help them find families that will love them forever. The initiative, led by PETstock’s charity foundation PETstock Assist, in partnership with not-for-profit animal rescue organisation PetRescue, aims to raise awareness of pet adoption as part of National Pet Adoption Day. 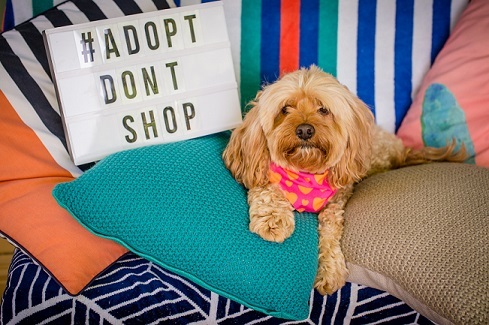 PETstock Chief Executive Officer, Shane Young, said if just one in five pet seekers chose to adopt a pet instead of shop, we could end pet homelessness in Australia. “Our goal is for every rescue pet to find their forever home, and we’re getting closer,” he said. Already trained – most rescue pets have been house pets in the past, they come toilet trained and with basic manners so you’re not starting from scratch. You know what you get – grown animals have developed personalities, are more mellow (and less destructive!) than a young pet and can be a better fit for families with young children. They have more love to give – abandoned pets are eager to become part of a loving pack and will bond with a new family as soon as they feel safe and secure. It’s cost effective – a rescue pet has been health-checked, de-sexed, vaccinated, wormed and treated for fleas. PetRescue Co-Founder, Vickie Davy, said people may be surprised by who they find at Pet Adoption Day. “Pets of all types, sizes, breeds and ages will be available for adoption on the day so everyone is sure to find their perfect match,” she said. Before joining their forever family, adopted pets are de-sexed, vaccinated and treated for parasites as well as having undergone a comprehensive veterinary and behaviour assessment.